Credit goes to EncasedShadow and DUVOIS for compiling these. ace= all of the enemy team is dead for the moment. Beware spawn times but now is an excellent time to push. ]CD= Cool down, the time between using abilities. harass - to annoy the enemy with small bursts of non lethal damage, often forcing them to go heal or be set up for a gangk. disc, dc = disconnect from a game. bait - to deliberately appear in a position to be easily ganged so as to lure 1 or more players to be gangked by your team "go bait them in to the jungle"
d, defend - to sit at a tower and/or inhibitor and attempt to avoid confrontation while stopping the enemy from killing the objective "I'm gonna d mid"
heal - either the summoner spell, a champion ability, or the act of returning to base to regenerate HP and mana "you should heal"
push - to gather up a creep wave and attempt to destroy an enemy tower "I'm going to push bottom"
adjudicator = Either an older beta tester, or a beta tester whose skill in game or feedback out of game have been noted. Emissary = trusted forum member, and guide. build = how a champion and its summoner is built. For champions this may includes the items one buys on a champion, and the order one gets a champion's skills. For summoners, this refers to their masteries and rune selections. burst = A large volume of damage done quickly and typically then very little sustained follow up damage. deny, denies= Basically last hitting your own creep. This mechanic does not exist in LoL. In Dota this would prevent the other from earning the gold and experience for killing the creep. Elo = The score a person has in the Ranking system. http://en.wikipedia.org/wiki/Elo_rating_system though LoL's is heavily modified. leave, leaver = To quit a game before it is over. scrim= short for scrimmage. A scrim is a practice match, usually before one of the teams go into a more serious 'ladder' match. vent = Ventrilo. It is voice communication software used to coordinate as a team. 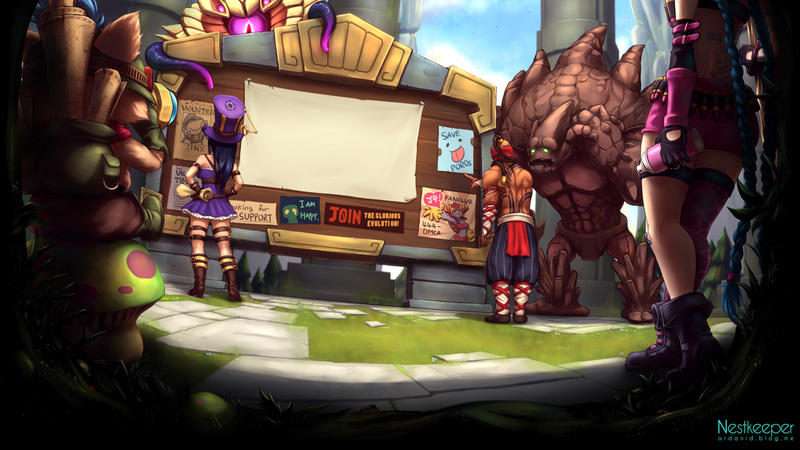 Riot has its own vent server which it offers to players for convenience. Ahhh, I was going to try and make this whole sentence in acronyms but it seems it is too difficult for myself. Also you might want to bold the acronyms to make it a little easier to read the wall of text hurts the eyes. bg - badgame for games with leavers/purpose feeders etc. bd - shorter and more used form of backdoor. cv - Clairvoyance that area. golem - near golem buff. lizard - near lizard buff. ks - kill steal/ kill stolen . Ill add to my list if more pop up in this thread so its on the front. I added BD. Won't add BG. Not sure if overly necessary. Build: The items/masteries/runes that are generally planned out at the beginning of a game determining a playstyle, as in a Tank or AP build. Caster: An AP heavy Carry, generally dealing more AoE damage then other carries in team fights, though are less effective against buildings. 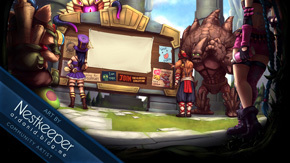 Fighter: An AD based champion, such as Pantheon or Garen, who are required to be in melee range to deal higher damage. Most fighters also have more survivability then ranged carries. Quite a few people use rtb (return to base) rather than bp, thought it might be worth mentioning.